legislation has been approved by Parliament and has come into force. 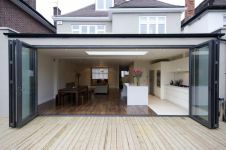 for detached houses, and from 3 metres to 6 metres for all other houses. whether the impact on the amenity of all adjoining properties is acceptable.